It’s official – America has gone crazy for trucks. Despite what many auto analysts had predicted would be a down year for the auto industry due to rising gas prices and tariff concerns, US pickup sales have already passed the 2-million-unit mark by September. All totaled, 2018 sales are expected to finish a full 2 percent above 2017 numbers. Toyota has been a big part of these record sales, and for good reason – its two-truck lineup of the jack-of-all-trades mid-size Tacoma and the powerful full-size Tundra offers options suited for any lifestyle. If you’re looking at the different Toyota trucks for sale, you’ve come to the right place. Joseph Toyota’s selection of new and used Tacomas and Tundras is unmatched in Cincinnati. We’ll help you learn everything you need to know about these accomplished trucks. Long the tool of the trade of those needing a spacious bed or towing prowess for hauling equipment and materials, pickup trucks have evolved in recent years to be a striking combination of comfort and capability. Long gone are the days of feeling every bump and pothole in the road; today’s trucks often offer the same shocks, struts and suspensions found in smooth riding SUVs and crossovers. While base models still offer the rough-and-tumble fabric and plastic interiors of the workman’s truck, top-line models now lavish their occupants with leather-trimmed heated and ventilated seats, moonroofs and premium sound systems. These improved rides and cabins have translated to huge ownership numbers; pickups now make up 16% of the US car market. The Toyota trucks on sale today show why the vehicles are so popular. If you’re interested in the 2018 Tacoma, we will discuss the top features included in this model. For specifications for your particular model, be sure to consult with your local dealership. Go further up the model hierarchy, and you’ll find the full Toyota Safety Sense package, 3 USB ports, Entune premium audio, leather seats, and Toyota’s Blind Spot Monitor with Rear Cross-Traffic Alert. The Safety Sense package, with pre-collision systems, lane departure alert, sway warnings, automatic high beams, and dynamic radar cruise control is an excellent feature, no matter how you intend to use your Tacoma. As useful in carpool duty as it is when towing up to 6,800 pounds, this system works with the driver to make sure any drive remains as safe as possible. If you’re interested in learning more, check out your local Toyota dealer today! If you’re interested in the 2018 Tundra, we will take a dive into the best features included in this model. For more information and specifications, be sure to contact your local dealership. Top-of-the-line trims, like the leather-clad Platinum, come with Entune premium audio, built-in apps, 12 JBL speakers and voice commands. Combine these features with a towing capacity of up to 10,000 pounds and payload capacity of 1,730 pounds and you have a truck that’s just as composed on a city street as it is on a construction site. Made and designed in America, the Tundra has quickly become a classic. The full suite of safety and tech inside these two trucks doesn’t detract from their well-earned reputations as off-road warriors. 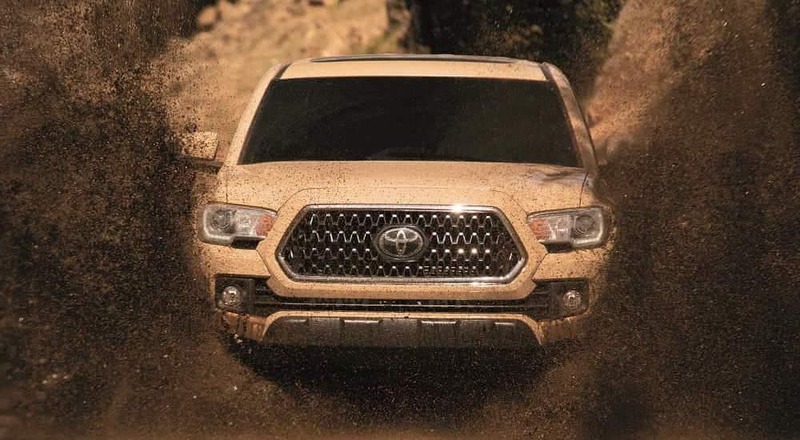 Built in the same vein as the world-conquering Land Cruiser, the Tacoma and Tundra are built to handle anything you throw at them. The ‘TRD’ found in both trucks trim ranges stands for Toyota Racing Development, the in-house tuning shop for all Toyota products. 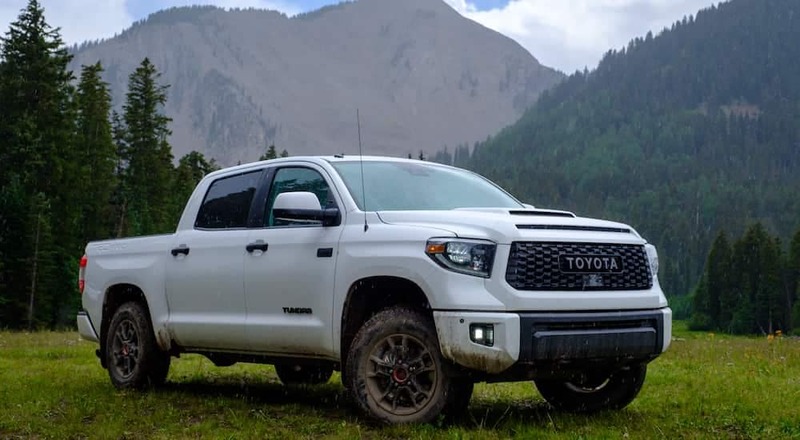 In the TRD Pro model, you’ll find Multi-Terrain selection with CRAWL control, internal bypass shocks tuned by TRD, and electronic locking rear differential. Simply put, Toyota’s trucks can hang with the best of them when you leave paved roads in the mirror. Interested in learning more, check out your local Toyota dealer today! 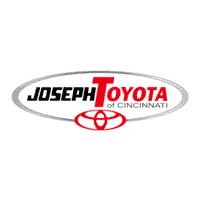 Joseph Toyota is your place to shop Toyota Trucks for sale in Cincinnati. We have an extensive inventory of Tacomas and Tundras that are ready to be sold. Whether you’re looking for a brand-new 2018 model or a used model, we’ll be able to help you find what you’re looking for quickly. This is something we pride ourselves on the excellent customer service we provide to each customer who walks through our doors. If you’re someone who has had a poor car-buying experience in the past, don’t let that sway you from stopping by Joseph Toyota. We will show you the respect that you deserve and provide you with an inventory that will leave you speechless. It’s time to stop by our conveniently located dealership. You’ll be glad that you did.